Tis the season for holiday entertaining! In a recent blog post, Laura shared her four simple rules for effortless high-end entertaining. Definitely worth a read! From a culinary standpoint, Napa Valley is a pivotal scene in the U.S. for food, wine, and cooking. To Katie Hamilton Shaffer, it’s the perfect location for her online lifestyle network, Feast It Forward, featuring programming, blogs, and recipes that inspire people to bring flavor into their lives well beyond just food. Shaffer developed the unique platform to bring together people who love great food and wine and back it with a social conscious message through its own philanthropic, nonprofit arm, Feast It Forward Foundation. Shaffer recently opened a community-based space called The Studio in Napa, California to bring Feast It Forward to life beyond the pixels and videos you see on its website. According to Shaffer, it’s equal parts live studio, experiential showroom, and wine collective. And since Napa is the mecca for culinary lovers and oenophilia alike, the location makes the flagship operation the perfect destination for both locals or visiting fans. Several companies partnered with Feast It Forward to complete The Studio, including Monogram. 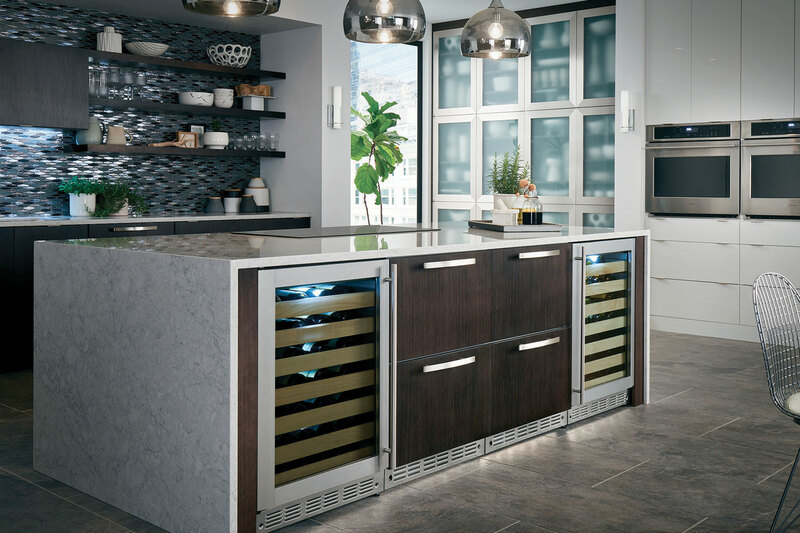 Shaffer said that the Monogram suite of appliances helps bring The Studio’s kitchen to life through community events, online programming, and charitable offerings. Shaffer felt that true culinary fans can “connect with the modern, beautiful, user-friendly design” of the Monogram range. It’s definitely elevated everything in The Studio kitchen. The shows, blogs and other content recorded at The Studio tell the stories of people, places, and events and how they connect. Shaffer and her crew invite the public to “take a seat” at their table and learn about the world through chefs, musicians, tastemakers, designers, and others who create and inspire our world. Recently, Jacques Pepin filmed episodes of a new series at The Studio, and Feast It Forward hosted the Napa Valley Film Festival’s After the Filmmaker’s Lounge. On the network’s website, you’ll also find the Feast It Forward Foundation where donations and profits from charitable events and sales of its “products with purpose,” are given back to a host of select charitable categories including those for women, children, animals, health, and international needs. This is where Feast It Forward raises awareness for charitable organizations as it raises its glass in tribute, passing along a truly inspiring message to its fans.